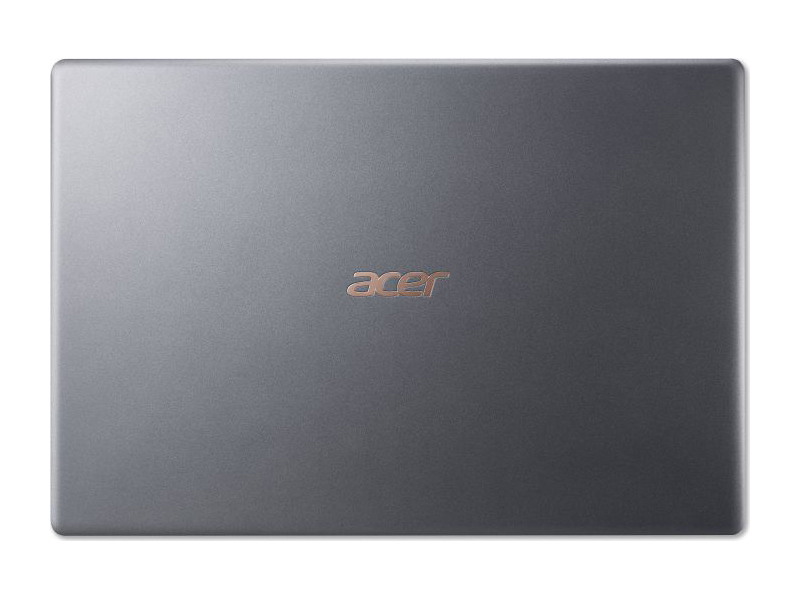 For its latest entry in the ultrabook market, Acer presents the stunning Acer Swift 5 SF514. This is a 14-inch laptop with an aluminium body and it is only 14.58 mm thin. It is about as light as the 13-inch MacBook Air, weighing approximately 1.3 kg, but the screen real-estate is larger. The stylish metal cover is sturdy, with little to no flex in the chassis. 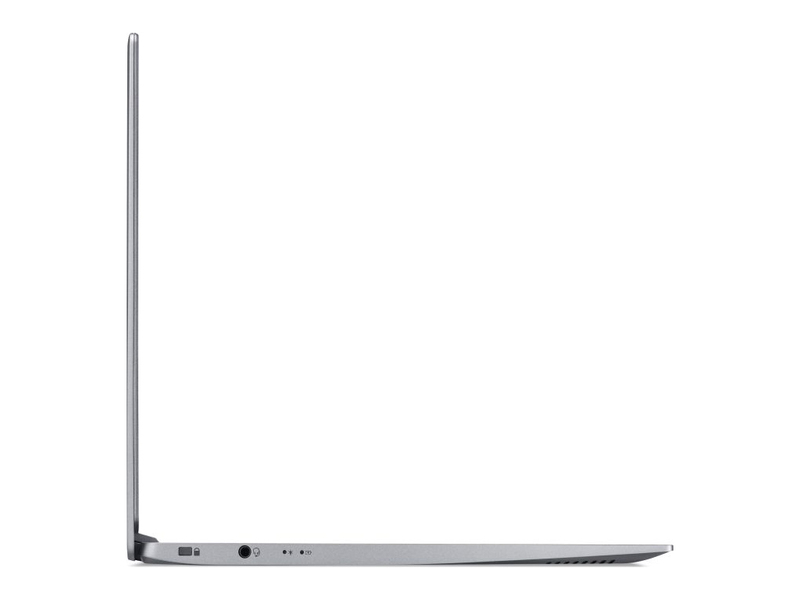 Combined with the matte finishing, which repels smudges and protects against scratches, the laptop is definitely built to be a versatile road warrior. The display is also a proof that Acer has graduated from manufacturing a decent laptop lineup to providing premium quality laptops with very competitive price tags. 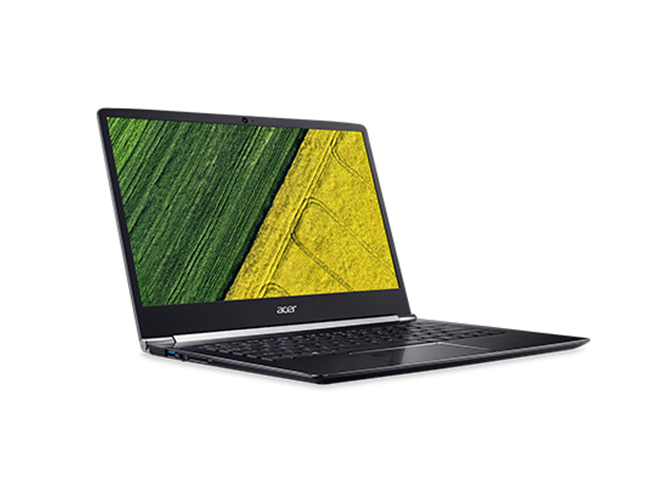 The Acer Swift 5 not only sports a Full HD display, it is also an IPS CineCrystal LED-backlit display, which delivers vivid images and is perfect for graphic designers looking for a laptop to edit their best pictures. To top it all off, the Acer Swift 5 also gets a backlit keyboard and a fingerprint scanner – features typically reserved for the more premium models. The fingerprint scanner works by using Windows Hello to securely and seamlessly log users onto their Windows account. 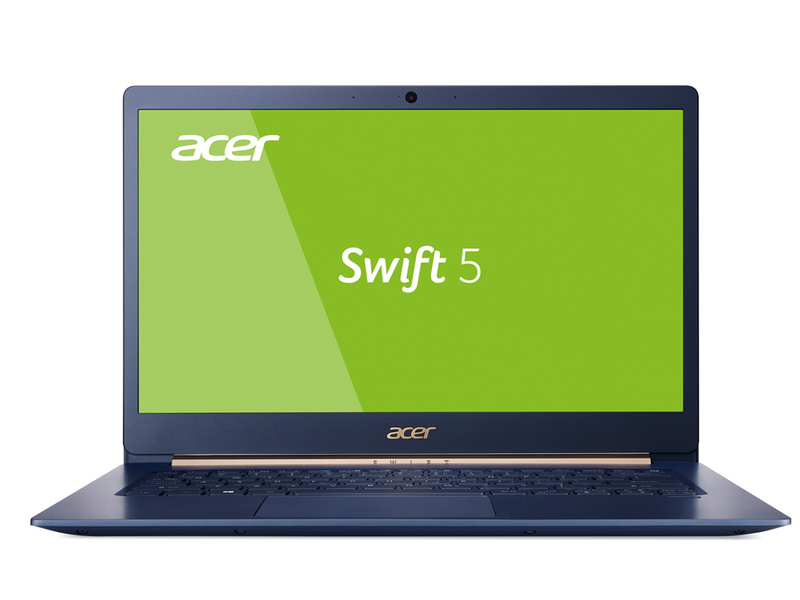 The Acer Swift 5 runs on a 7th generation Intel Core i5-7200U dual core processors with a base clock of 2.5 GHz and a maximum Turbo clock of 3.1 GHz. Surely, this CPU is more than equipped to handle demanding tasks, be it editing videos or streaming Full HD videos. 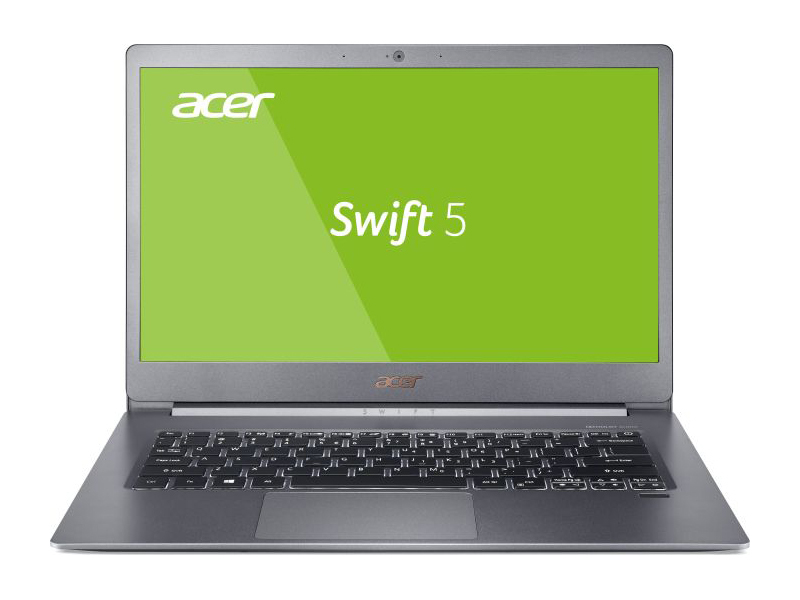 The Acer Swift 5 has 8 GB of DDR3 RAM, which guarantees snappy multitasking. Another key component of this laptop is its 256 GB SSD. 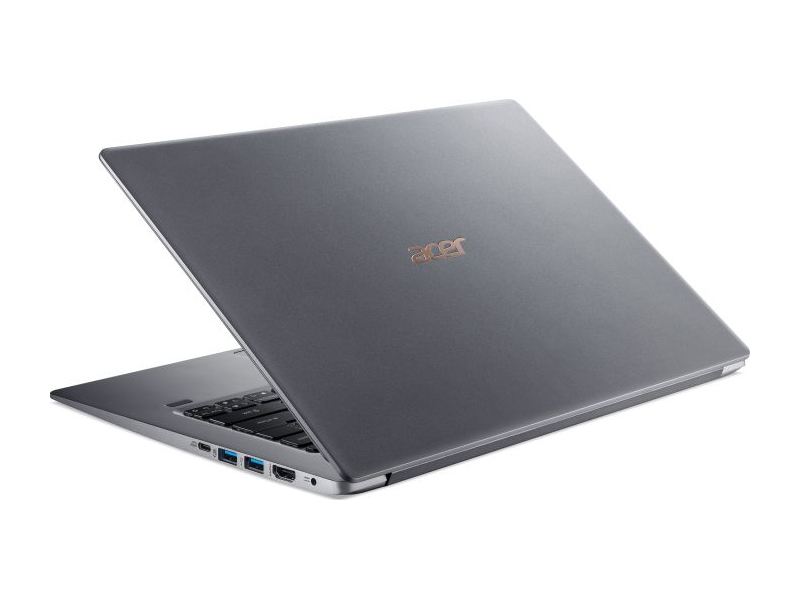 The Acer Swift 5 is not a gaming laptop by any means, but it comes with the latest Intel HD Graphics 620 graphics chip, which can deliver a decent frame rate on HD settings on some blockbuster games. As for battery life, the Acer Swift 5 packs a 3 cell 4670 mAh battery with 45 W maximum power output. The battery is able to last up to 13 hours on a single charge. 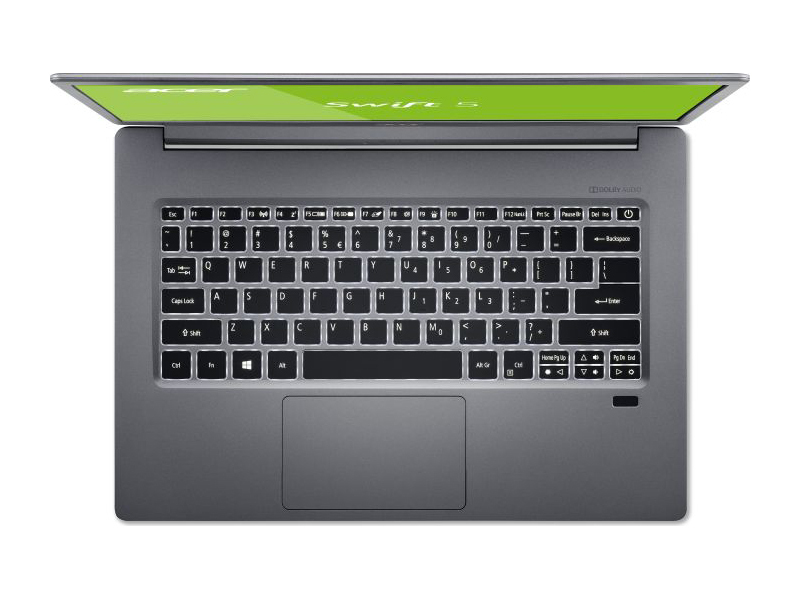 To maintain its slick profile, the Acer Swift 5 has no optical drive. But to make up for it, Acer has included two USB 3.0 ports, a standalone USB 3.1 Type C first generation port, an HDMI port and an SD card reader, which all in all makes a sweet combo. 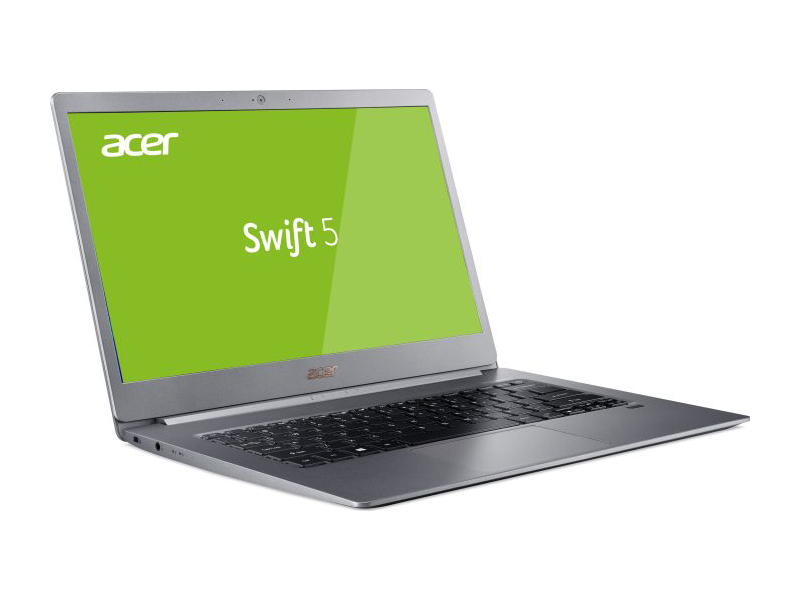 The Acer Swift 5 SF514 is a perfect laptop for business persons who requires ultra portability and serious processing power to handle their business applications. Elegant companion. 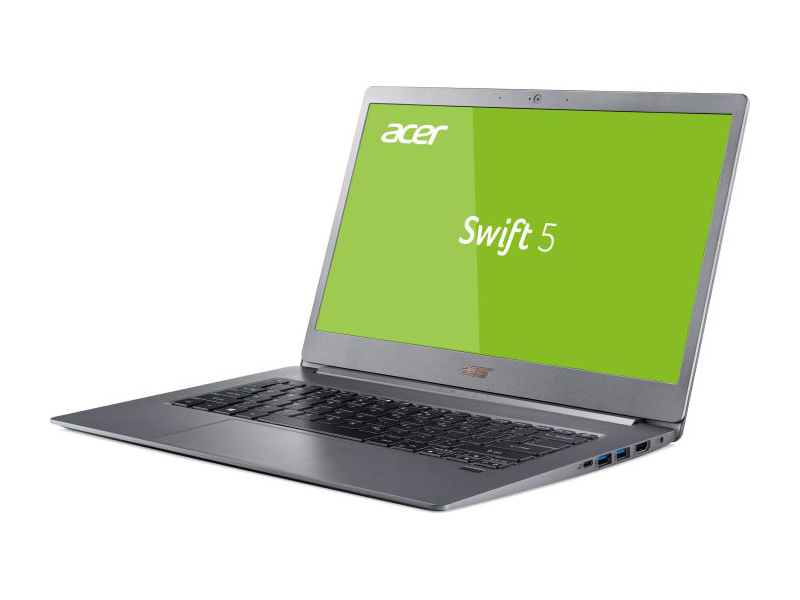 Acer combines the most important elements of a subnotebook and calls the result Swift 5. The refined yet familiar design is particularly impressive. 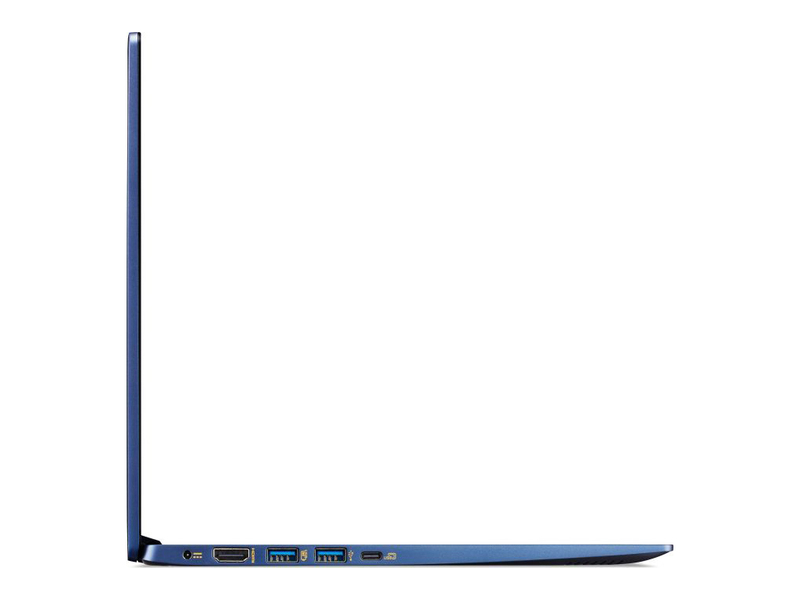 Positive: Elegant design; slim size; high mobility; powerful hardware; high performance. 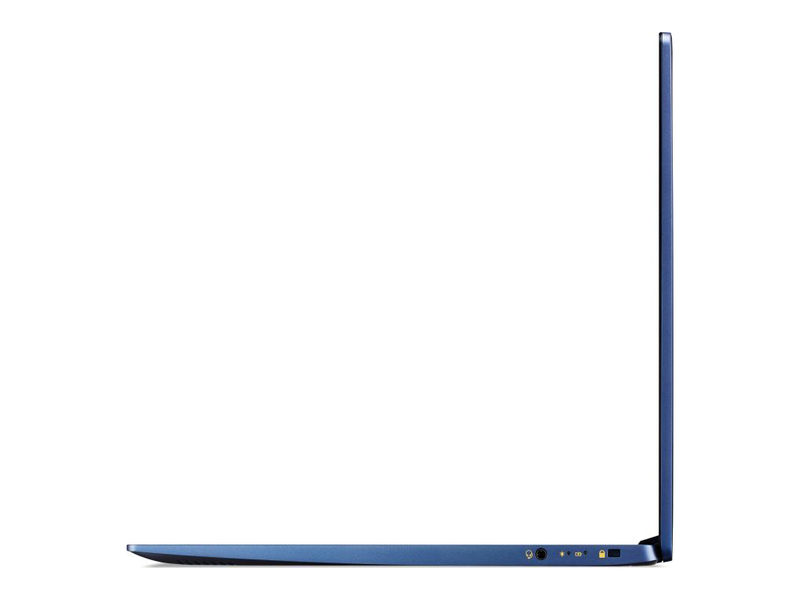 Positive: Solid workmanship; nice touchpad; compact size; good cooling system; long battery life; excellent display. Negative: Uncomfortable keyboard. Positive: Good price; compact size; light weight; nice connectivity. Positive: Good price; large battery capacity; slim size. Positive: Light weight; large screen; powerful hardware; long battery life. Positive: Slim size and light weight; metal case; solid workmanship; fast system; nice display; powerful processor; fast fingerprint sensor; long battery life. Negative: No RJ45 port; mediocre design; overheats while using. Positive: Light weight; powerful hardwre; nice display; good ergonomy; nice connectivity. Negative: Low performance; short battery life. Positive: Compact size; light weight; good price; decent hardware; nice performance. Positive: Compact size; light weight; good price; nice display. Positive: Metal case; compact size; light weight; comfortable keyboard; long battery life; good cooling and silent system; good price. Positive: Decent hardware; light weight; high mobility; long battery life. Negative: Inflexible fingerprint sensor. Positive: High mobility; good price. Negative: Short battery life. Positive: Light weight; metal case; nice display; elegant design. Positive: Great built quality; comfortable keyboard; high performance. Negative: Poor display; relatively high price. Positive: Compact size; light weight; good price; decent processor. Positive: Compact size; decent hardware; nice display; backlit keys; good price. Positive: Metal case; nice display; beautiful design. Positive: Metal case; solid workmanship; light weight; fast fingerprint sensor; nice touchscreen display; nice connectivity. Negative: Uncomfortable keyboard; low power speakers. Positive: Powerful hardware; compact size; long battery life; light weight. Positive: Big screen; light weight; powerful processor. Negative: Relatively high price. Positive: Compact size; light weight; thin frames; stylish design; nice display; high performance; good cooling system; decent autonomy; attractive price. Negative: Uncomfortable keyboard; limited connectivity; mediocre speakers. Positive: Big screen; light weight; good price. Positive: Slim size; light weight; premium design; solid workmanship; powerful hardware; high performance. Positive: Silent system; high autonomy; nice display; light weight. Negative: Uncomfortable touchpad. Positive: Light weight; nice connectivity; long battery life; decent hardware; silent system. Negative: Mediocre speakers. 7500U: Kaby-Lake based SoC with two CPU cores clocked at 2.7 to 3.5 GHz, HyperThreading and manufactured with an improved 14nm process.8550U: Kaby-Lake-Refresh based low power quad-core processor. The four cores are clocked between 1.8 and 4 GHz (Turbo Boost) and support HyperThreading. The integrated GPU is clocked between 300 and 1,150 MHz. The SoC is manufactured in a 14nm+ FinFET process.8565U: Whiskey Lake based low power quad-core processor (technically identical to Kaby Lake but produced in a further improved 14nm++ process). The four cores are clocked between 1.8 and 4.6 GHz (Turbo Boost) and support HyperThreading.